We are proud to announce that 46 of our students have been designated 2018 AP Scholars! Below is a complete listing of all our scholars, by school. We congratulate all of them for their exceptional dedication to their studies and for this tremendous achievement. 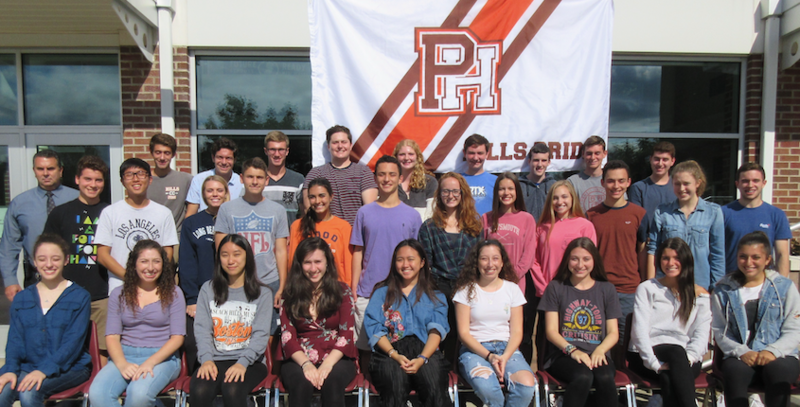 Pascack Hills AP Scholars: Molly Balsamides, Jenna Chiavelli, Joshua Cohen, David DeScherer, Ben DiPiazza, Jeremy Friedman, Matthew Friedman, Jade Greenberg, Samantha Haberfield, Danny Jeong, Amber Leung, Karoline Menze, Nikolas Michelis, Benjamin Polson, Eliza Romeu, Jamie Rossig, Rebecca Seickel, Thomas Varano, Kathryn Walsh, Samantha Zaintz, Lillian Zou. Pascack Valley AP Scholars: Rachel Brunn, Jefferson Chen, Kyle Chiu, Elise DeBiasio, Joshua DeLuca, Hailey Kraft, Shauna McLean, Elyse Migdal, Sean Oh, Luke Sungela, Sara Takubo, Bryanna Testino, and Zachary Zeller. Pascack Hills AP Scholars with Honor: Bennet Bierman, Jarrett Bierman, Talia Boyajian, Elisa Falanga, Carly Haberfield, Ryan Hudson, Joshua Kent, Michael Ruberto, Matthew Ryan. Pascack Valley AP Scholars with Honors: Brianna Jacobsen, Amelia Moran.